The industry leaders in providing the most advanced categorization and malicious detection of web content, traffic, and connected devices that power our OEM partners’ applications and make the internet a safer place for all. Empowering Our Partners To Build A Safer & More Secure Internet! zvelo provides the industry’s most accurate and comprehensive URL categorization and malicious detection solutions for web content, traffic, and connected devices. Our web filtering and security solutions support some of the world’s most successful Network Security, Router, and Ad Tech companies—and help build a safer and more secure internet for all! Best-in-class web filtering & parental controls solutions, content categorization, and malicious detection—powered by the industry-leading zveloDB™ URL Database. Helping advertisers and platforms (DSPs and SSPs) eliminate ad fraud and increase ROI on ad spend through content categorization, contextual targeting, and brand-safe inventory verification. Helping router, gateway, UTM, and Smarthome device manufacturers implement and support advanced web filtering and security solutions that protect their users’ web traffic and IoT devices. Premium Web, DNS, & Content Filtering. 99.9% Coverage. Over 99% Accurate. zvelo leads the industry in both ActiveWeb URL Coverage AND Accuracy. 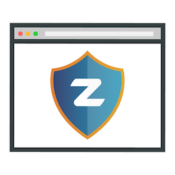 Built for maximum flexibility and support, the zveloDB URL Database is the trusted solution for web filtering, parental controls, malicious detection, and more. We are 100% Partner-focused, developing and managing web security and filtering solutions for a wide range of UTM/router/gateway manufacturers, endpoint security vendors, DNS providers, ISPs, Telcos, DSPs, SSPs, and more. Built on a scalable, cloud-based platform—our solutions provide OEMs with flexible deployment options and leverage the intelligence and power of our zveloAI Cloud network. Protect your users, networks, and devices with the industry’s best web security and parental controls solution. Go beyond DNS filtering with protection and support at the domain, page-level, and full-path URL. Our systems continuously monitor for malware, phishing, botnets, and more—providing MSSPs, ISPs, Telcos, and others with advanced threat intelligence and detection against online threats and bad actors. Match advertisements to content on the page-level while eliminating costly ad placements that damage brand reputation. Protect your customers’ reputation, budget, and investments with zveloDB. AI-based categorization systems enable datafication and modeling huge amounts of logs and network data. Increase ARPU, decrease churn, and capitalize on user trends while building loyalty. Eliminate wasteful spending on bots and non-human impressions—simply put, you can start eliminating ad fraud today. Partners & Affiliates—Helping Us Make the Internet a Safer Place for All! Advanced Threat Intelligence Against Malware, Phishing Attacks, & Malicious Threats! Protect your networks and users from online threats like malware, phishing attacks, ad fraud, botnets, and more. zvelo’s malicious detection capabilities help protect over 650 million users and growing with over 99.9% ActiveWeb coverage. Stay up to date with the latest blogs, news articles, press releases, and more from zvelo. The most advanced and accurate categorization and malicious detection for web content, traffic and connected devices supporting market leaders in critical cybersecurity, network and endpoint security industries to make the Internet safer and more secure. For more information, explore our Resource Center where you’ll find blogs, security announcements, press, news, data sheets, white papers, and other tools. Explore our tech blogs and articles covering everything from malicious exploits and threats, botnets, ad fraud prevention, online data privacy, brand safety, security alerts and best practices—all the way to developer insights and coding strategies. zvelo is trusted by some of the largest and best-known names across the cybersecurity, network operator, endpoint security, and ad tech landscapes. Stay up to date with the latest zvelo news and information impacting industries we serve. Your go-to source for zvelo company announcements, service updates, legal and patent notices, and more. In 2018, the IWF removed over 100,000 URLs related to child sexual abuse—the most in IWF history. Find out more about their progress with the 2018 Annual Report.